Your gift today can give hope and freedom to a child facing a lifetime of blindness. $200 to restore the sight of a child. $39 to give sight-saving surgery to a mom or dad like Titus. Blind from cataracts in both eyes, Ebi relies on her son and his family for everything. “Everything is a challenge for me now”, Ebi says. She sighs deeply. Thanks to your generous support, Ebi was offered free cataract surgery at a Hope and Healing International-supported clinic. Ebi is nervous but excited going into the surgery, and says she can’t wait to see again. The morning after the surgery, the nurse removes her bandages. Ebi starts to laugh, and she can’t stop! She claps her hands and then gets out of bed and starts to dance with joy. Everyone claps and sings along—her happiness is contagious! Thanks to you, Ebi has been given a new life. For millions of people, the world is a dark place. YOU can shine light in the darkness this Easter. 10-12 minutes is all it takes to perform the surgery that gives new life to someone living in blindness! 24 hours is the average time between surgery and the removal of bandages – and the miracle of sight! From darkness to light: watch these inspiring videos! Since 1966, Hope and Healing International has performed over 12 million sight-restoring operations. 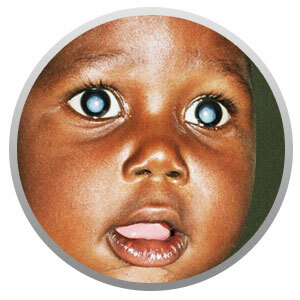 According to the World Health Organization, “a cataract is clouding of the lens of the eye which impedes the passage of light.” Children are sometimes born with cataracts, or develop them due to an injury, inflammation or disease. How does the surgery restore sight? The surgeon makes a small cut in the cornea and removes the clouded lens. 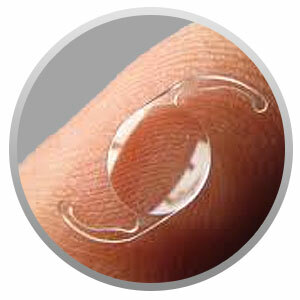 Then the surgeon replaces it with a new human-made lens. Most of the time sutures aren’t needed, which means patients experience lower infection rates and a faster recovery time—usually just 24 hours! For adult patients, the doctors just use local anesthesia, whereas children are given general anesthesia to prevent them from moving around during the surgery. Why does cataract surgery for a child cost $200? 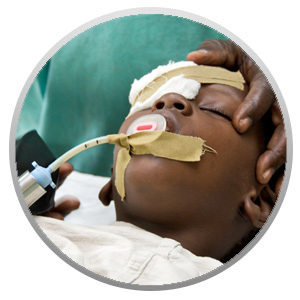 Cataract surgery is more expensive for a child because the surgery is more difficult. It takes more time, as the cataract is softer and more prone to break apart. Also, a child is put under general anesthetic, which means an anesthesiologist needs to be involved. And the child stays overnight and monitored closely to ensure there is no infection.